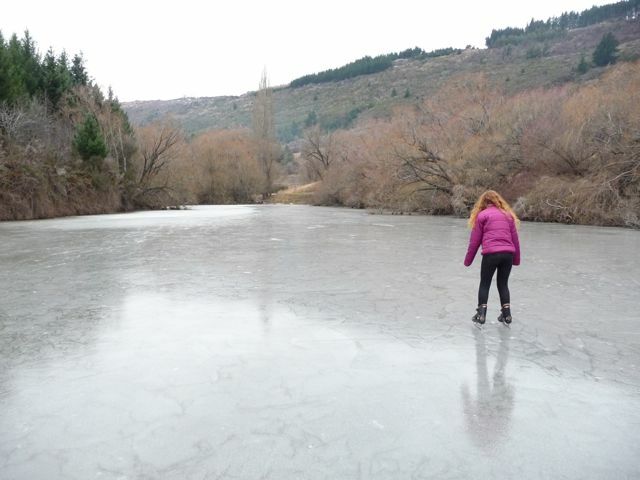 There are less places to ice skate in the Lakes District than the Central Otago and Maniototo regions, but there are some small ponds which regularly freeze during the winter months. The most popular place is Diamond Lake which can be found a short distance from Wanaka. Skating at Arrow Junction on July 27 2010. Photo by Dave Young.